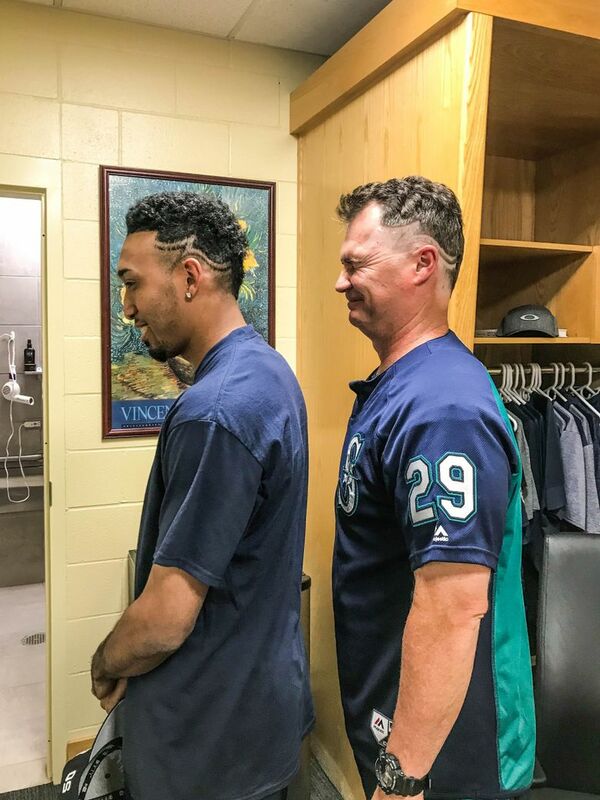 Edwin Diaz made his manager pay up on a bet for earning his 50th save. The price to pay? A new haircut for Scott Servais. SAN DIEGO — A bet is a bet. 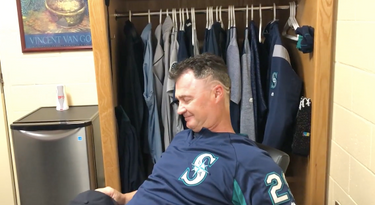 And Mariners manager Scott Servais honored it Tuesday afternoon at Petco Park, getting his hair cut into the same style as his closer, Edwin Diaz. Servais made the arrangement in early April when Diaz had just three saves on the season. He told his young closer that if he reached 50 saves, he would get the lines shaved into the side of his head that Diaz has been sporting since the beginning of the season. On Saturday in Phoenix, Diaz notched his 50th save to win the bet. Given Diaz’s success this season, it was pretty much a given that Servais would lose eventually lose the bet. Diaz flew his barber, Joel, who owns Joel’s VIP Barber Salon in Tacoma, to San Diego for the occasion. “I told him to be ready for when I get that 50th save because I want you to fly wherever we are to do the haircut to Scott,” Diaz said. 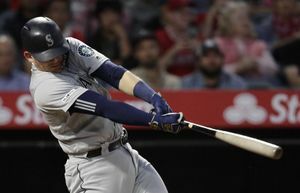 The Mariners didn’t allow media in the clubhouse when it was happening — just the club’s social media team. But Diaz live streamed it to his instagram account. Servais bought caps that read: “Electric Eddie’s Barber Shop” for the occasion and was wearing one post haircut in his pre-game media session. The team is also doing a promotion with t-shirts featuring that name for Monday’s game vs. the Orioles. Diaz felt like Servais’ gray hairs weren’t allowing the true work of Joel to be displayed. He had a solution. “We are trying to put some Just for Men on his head to make it look better,” Diaz said. Servais received a fair amount of feedback in the hours after it went social media viral. Will this force Servais to rethink wagering with his players wear his personal appearance is affected? Well, sort of. So, here’s what you’ve been waiting for: the photos. Narrator: It was at this moment that @Mariners skipper Scott Servais knew he made a mistake.